By A.C. Grayling. Examines, and challenges the concept of war. 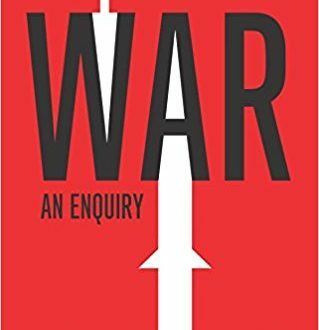 Proposes that a deeper, more accurate understanding of war may enable human beings to reduce its frequency, reduce its horrors, and lessen the burden of its consequences. Explores the long, tragic history of war and how warfare has changed in response to technological advances. Probes theories concerning the causes of war and considers positive changes that may result from war. Envisions a “just war theory” in new moral terms, taking into account the lessons of World War II and the Holocaust and laying down ethical principles for going to war and for conduct during war. Read more.